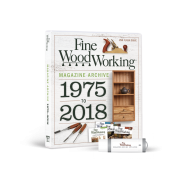 Synopsis: The bandsaw shines for many woodworking jobs, but if you ask Brian Boggs, its greatest potential is revealed when you use it with a template to cut curves. 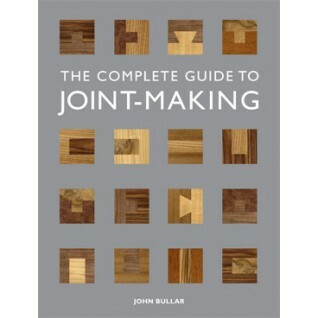 Equipped with a properly set up saw and using the techniques described here, you’ll make repeatable, glue-joint-quality bandsawn cuts that don’t require cleanup with a router. 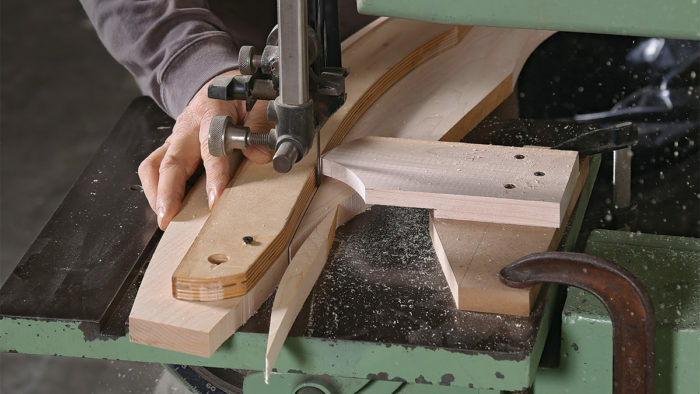 Boggs gives tips on sawing freehand, how to make a template that includes a “follower” to steady the cut, and how to cut true, large-radius arcs. In 35 years working wood I’ve gradually acquired many machines, but the bandsaw remains at the heart of my shop, the one machine I couldn’t live without. Bandsaws are irreplaceable for cutting all sorts of curves freehand, of course, and I’ll say a little here about those. But that’s just the beginning. 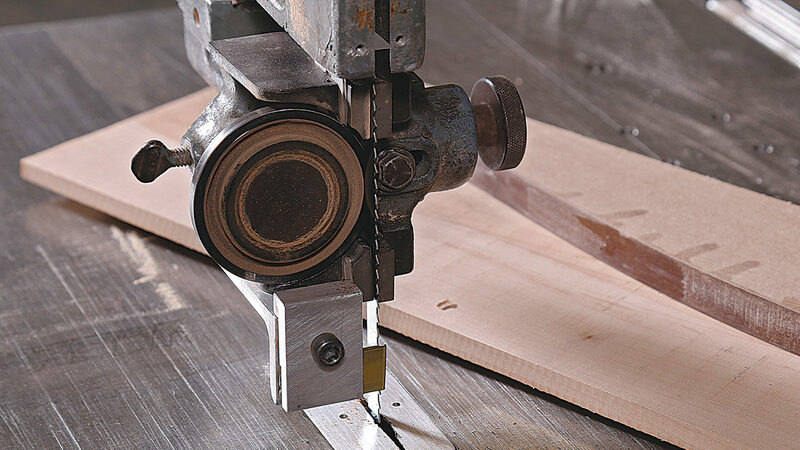 The saw’s greatest potential is revealed when you use it for template-guided curve cutting. Set up properly and guided by templates, a bandsaw can deliver repeatable curved cuts in a mind-bending array. With template-guided cuts you don’t have to correct rough bandsawn curves with a router, just sand away tooth scratches. If the techniques I describe here don’t work well on your saw, they will if you tune it up. 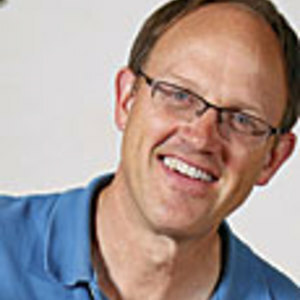 The best article I have read on bandsaw tune-up is Michael Fortune’s “Five Tips for Better Bandsawing”. I’d recommend reading that (paying particular attention to his discussion of blade drift) to get your bandsaw running sweetly before you start cutting with templates. I use 1⁄2-in., 4-tpi skip-tooth blades almost exclusively for curve cutting, whether I’m sawing with my trusty old 14-in. Delta or my even older, even trustier 30-in. Yates-American. I also keep multiple fresh blades on hand; a dull blade is hard to control, and I don’t want to be tempted to continue cutting with one. Be sure the blade tracks to the center of the wheel and that the blade’s side is parallel to the right edge of the bandsaw table. 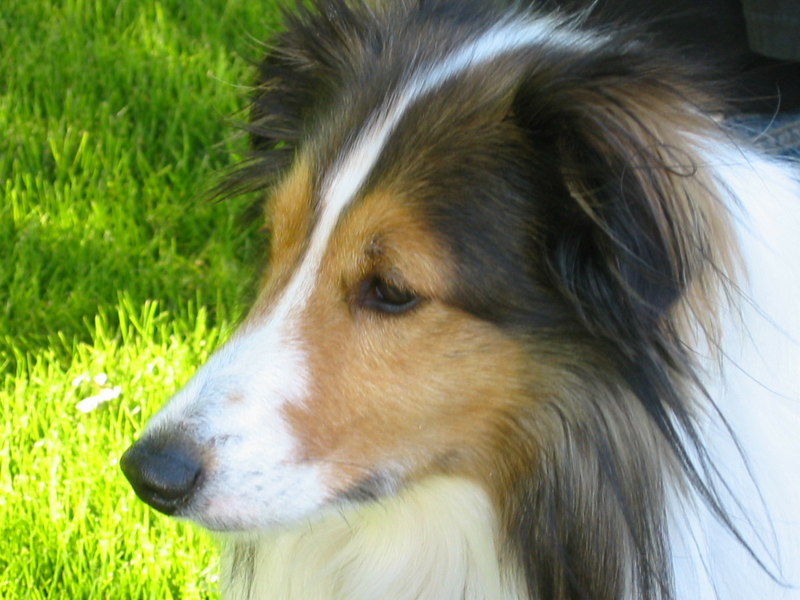 Keep your feed rate consistent, as changes in pressure can alter the behavior of the blade. And cut test pieces to make sure the setup is generating excellent results before you risk your furniture parts. On the bandsaw, being able to follow a line and get a good cut freehand is an invaluable skill. But no matter what your skill level is with freehand curve cutting, those cuts will not approach the precision you can attain with a template-guided cut. 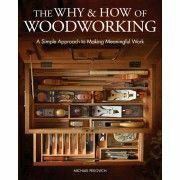 Woodworkers often create curved parts by making a rough cut with the bandsaw and then cleaning up with hand tools or by pattern-routing. But once you get fluent with template-guided bandsawn cuts, you’ll be able to create super-smooth curves of virtually any shape that shouldn’t need more than a light sanding. And if they are shapes you use often, you’ll develop a bank of templates you can access quickly. If you saw a lot of curves, this can be a life changer. Bolt-on follower travels with the guides: Using off-the-shelf aluminum angle and brass bar stock, Boggs made an adjustable follower that bolts to the bottom of his blade-guide assembly. Honour where honour is due. But sincerely I think this is not very helpful. Once you get the curve done this way you have to pass it on the router table. Then what you need is just a free hand rough cut at the bandsaw to prepare the piece for the router. I've seen few articles like this that were as surprising and helpful. This approach just never occured to me. Brian Boggs is an absolute genius! These jigs should be in a book. The engineering and creativity shown on these pages is truly remarkable. Thanks FW for this areticle, and Thanks Mr. Boggs for sharing your awesome expertise! It's this kind of article that makes FW stand above all the rest.